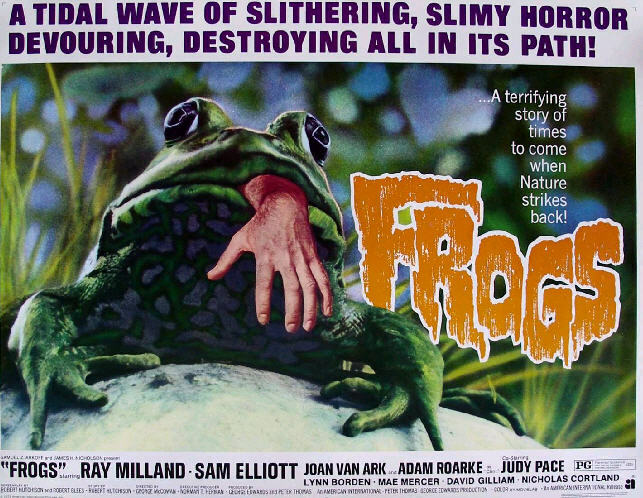 Home › 70's Cinema › “Frogs!” Vincent Price! Old Ladies! #31DaysOfHalloween Goes “Campy”! Killer Frogs And Vincent Price, Too! 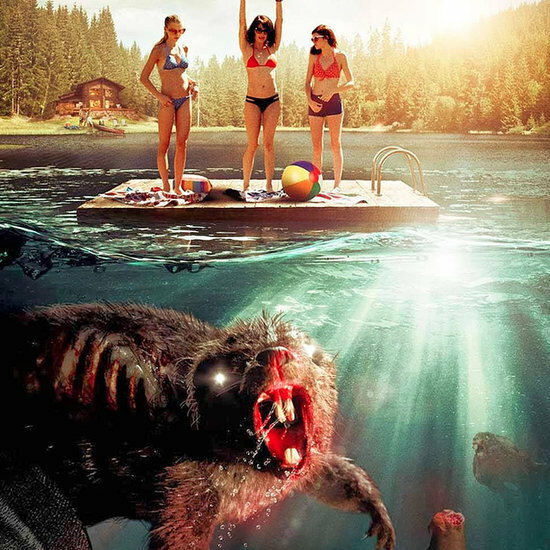 Yes, what a great campy horror movie for #31daysofhorror…”Zombeavers” is EXACTLY what you think it is…and exactly what it should be! Bloody horror fun with zombie beavers! It’s the genre of killer animals – rodents really – and it’s a hilariously over the top genre epitomized by the new classic “Zombeavers”, and of course, “Frogs” as well! Yes, you may not be aware, but this is one of my favorite horror genres: the killer grandma! And nobody did it better than Actress Shelley Winters! I am not much into horror movies. Thrillers is more like my genre. But few of the posters here look intriguing, so will check it out. Could you also please suggest me some good thrilllers/detective thriller movies? They are more campy than horror, especially the Vincent Price films, where he chews up the scenery in a very entertaining fashion! I have never seen ‘Frogs’, or ‘Zombie Beavers’, but I do like a bit of ‘Old Lady’ horror.